Make yourself a sturdy crocheted basket in this 2 hour class. The friendly class will be led by Katharine Wright and will be easy to follow and you’ll be able to make yourself a lovely basket or give it to a friend as a gift. You will need to know the crochet basics, especially a double crochet stitch to attend the class. Cost £26. 10am – 12pm noon. Local artist Sarah King is pleased to present her first solo exhibition, giving you a taste of the landscapes that inspire her. These include holidays to the Jurassic Coast, her childhood home county of Suffollk, as well as her local surroundings in Leicestershire. 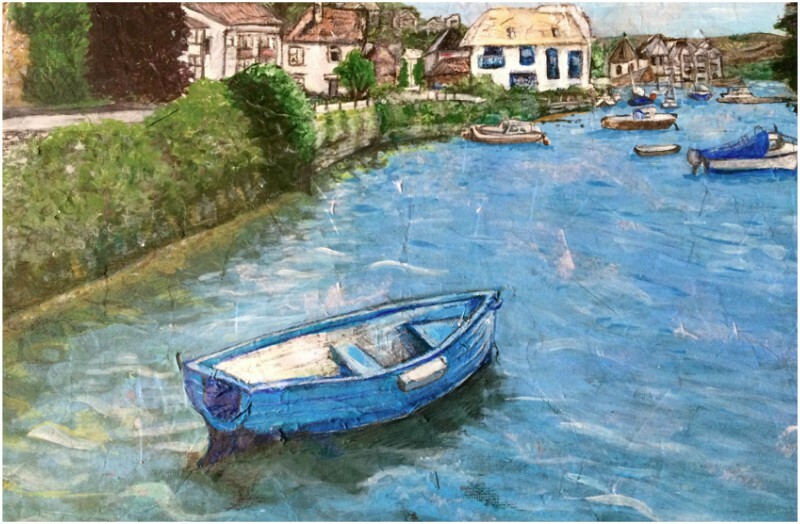 Sarah has developed her own style over the years, of layering collaged textures before adding fine details. Support local farmers, producers and makers selling everything from fresh, local meats, cheeses, pies, and cakes to vegan food, local beer, plants and flowers. Bring your bags and stock up your kitchen larder with these delicious goodies and more.